Snag this adorable onesie tutu set for your little girl to wear this St. Patrick's Day! 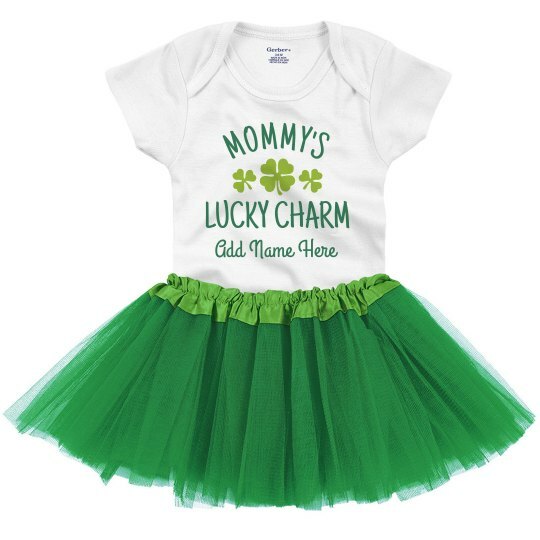 Show off mommy's little lucky charm at all of your up coming Paddy's Day celebrations. Don't forget to include a personalized touch by adding a custom name!